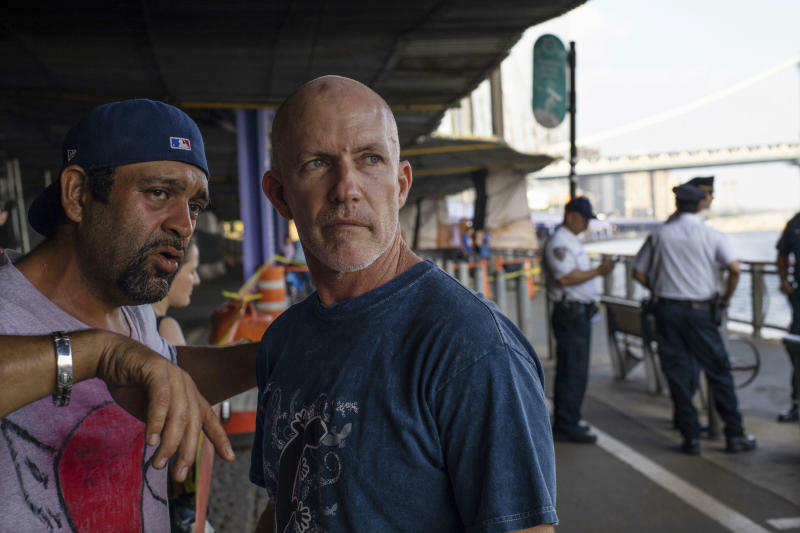 A dead baby found floating in a river near the Brooklyn Bridge has been identified. 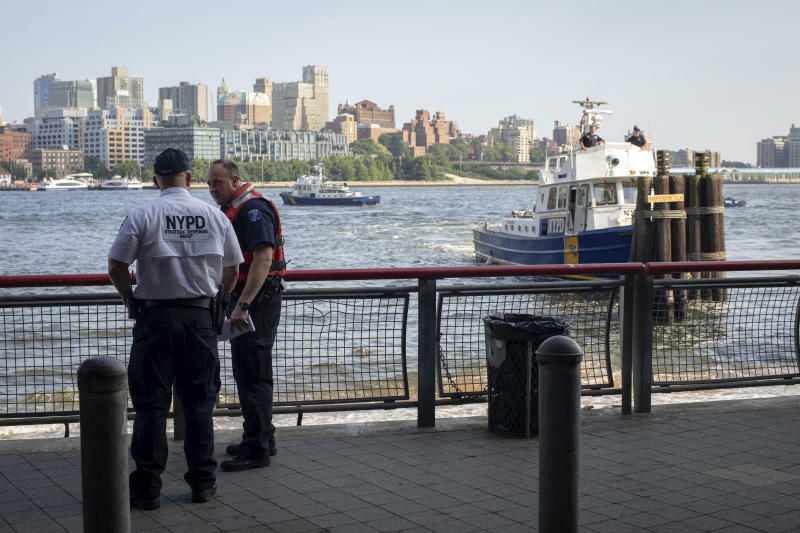 New York police say the father of 7-month-old Mason Saldana tossed the boy's dead body into the East River and then fled to Thailand. Chief of Detectives Dermot Shea said Wednesday he expects the boy's 37-year-old father to be returned to the U.S. within the week to face a felony charge of concealment of a human corpse. Additional charges could be filed pending an autopsy. A tourist from Oklahoma noticed the baby near the South Street Seaport on Sunday afternoon. Police say the baby was alive on Saturday when his father took him to his Bronx apartment under a custody arrangement. Detectives believe the boy was dead when his father left the apartment and headed for Manhattan on Sunday. 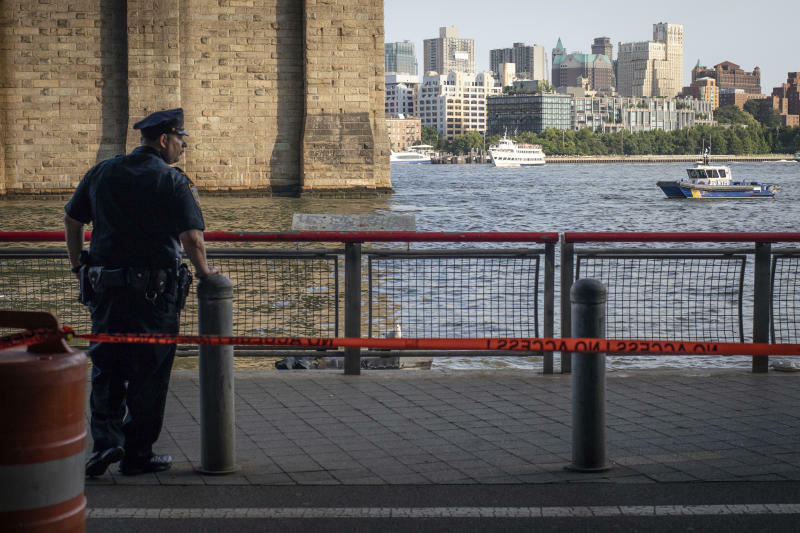 New York City police say the father of a 7-month-old baby found floating in the East River near the Brooklyn Bridge fled tod Thailand after throwing the boy's dead body into the water. Chief of Detectives Dermot Shea said Wednesday he expects 37-year-old James Currie to be returned to the U.S. within the week to face a felony charge of concealment of a human corpse. Additional charges could be filed pending an autopsy. A tourist from Oklahoma noticed the baby near the South Street Seaport around 4 p.m. Sunday. Shea says the baby was alive on Saturday when Currie took him to his Bronx apartment under a custody arrangement. He says detectives believe the child was dead when Currie left the apartment and headed for Manhattan on Sunday.